Evaluating the marketing efforts of an e-commerce website is a straightforward exercise, because sales and purchases determine the performance of your marketing efforts. However, gauging the digital marketing attempts of a service-based business is a slightly different and more difficult task. While the content could be tracked for how well the audience has engaged with it (likes, shares, subscribe etc. ), how does one justify costs and with that overall firm performance financially? In business speak, how does one show Return on Investment (ROI)? With this challenge ahead, here are a few metrics that will possibly help you determine profitability of a digital marketing campaign, and track ROI. alculated directly in the advertising platforms (be it Google Ads, YouTube Ad Manager, Facebook Ads Manager, MSN Ad Manager). To evaluate CPA or CAC, one needs to consider all the marketing spends across all channels. This metric will tell you what you are actually paying to acquire a customer. 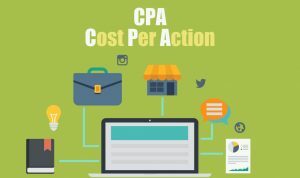 CPA/CAC is calculated by your total digital marketing spend divided by your number of acquired customers. This unique metric evaluates the number of new people hitting your website on a given period. This important metric allows you to evaluate the SEO quality of your website, its relevance, and even better, allows you to do a performance and quality check of your content that drives new people to your website, thereby allowing As with Cost per Lead, this metric, too, can be tracked directly via Google Analytics. Or, Return on Ad Spend is helps you directly evaluate digital marketing ROI. If traditionally, ROI is calculated as net profit divided by total cost, then ROAS is measured as Revenue divided by total ad spend. This financial metric helps predict the total value generated by the customer over the entire customer life cycle. This metric is especially helpful for businesses that have repeat customers because it is a way to calculate the net profit by the relationship generated with the customer. 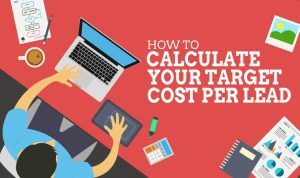 To calculate, one needs to know the CAC, the annual Profit contribution per customer, and the average customer retention.